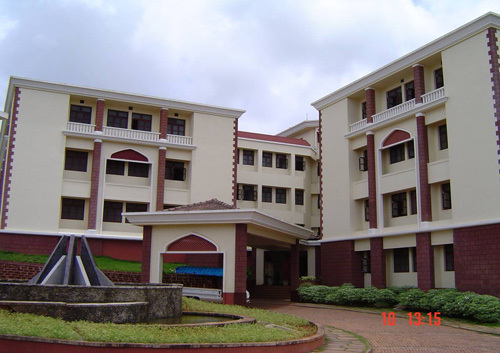 Yenepoya Medical College and Research Institute was set up in the year 1999. The private institute for medical studies is located in Deralakatte on the outskirts of Mangalore in Karnataka. The institute started functioning with an initial batch of 100 students and was affiliated to the Rajiv Gandhi University of Health Sciences (RGUHS), Bangalore. The institute is recognized by the Medical Council of India (MCI), New Delhi. In 2005 the institute gained permission from the Medical Council of India to conduct post graduate courses in the medical stream. In the year 2009 the institute became a constituent college of Yenepoya University. The institute was established with the ambition to produce outstanding medical professionals by providing quality education. The institute offers the best of facilities for the purpose of education and research activities. Yenepoya Medical College and Research Institute stands on a sprawling green campus that spreads over an area of 31.24 acres of land. The campus houses all pre clinical and para clinical departments, library, lecture halls and examination hall. The campus is attached to a well equipped 700 bed teaching hospital that provides practical knowledge to the students. To be eligible for admission into the MBBS course of the institute, a candidate must have passed the 2 year pre-university examination in Karnataka or its equivalent examination. The candidate must also have completed 17 years of age as on 31st December of the academic year of admission. The candidate must have secured at least 50% aggregate in the Science subjects in the qualifying examination and must have passed in the English language examination. For candidates belonging to the scheduled caste and scheduled tribe categories the minimum aggregate is 40%. To be eligible for admission into M.D or M.S courses a candidate must possess MBBS degree from a recognized institution. To be eligible for admission into the Masters in Hospital Administration program a candidate must have passed the MBBS, BDS, B.Sc Nursing, B.Pharmacy or B.Sc. in Allied Health Sciences examination from a recognized university with minimum of 50% marks. For candidates belonging to the scheduled caste and scheduled tribe categories the minimum percentage of marks required for admission is 45%. The institute encourages research activities by the students and the faculty members. It provides support for all kinds of medical research endeavours.